With a Stamp and a Song: You're in my Thoughts! A friend from back home lost his mother recently, so today's Stamp Simply card is a relatively flat-for-mailing sympathy card. 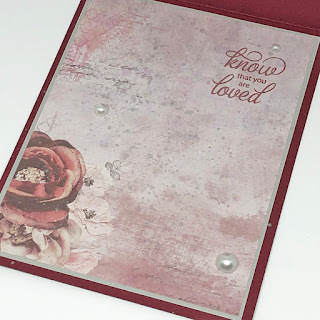 This paper is so beautiful that it really doesn't need much embellishing at all but I couldn't help but add those big ole pearls, so I may need to try to pad the envelope a bit after all. As I have mentioned before, I often put butterflies on sympathy cards. This one started with a small but wide rectangular piece of white tulle that I stretched, fraying the edges, then tying them into a small bow. This was topped by double bow of jute string and a pearl. I love that these sentiments are so simply lovely and yet so versatile. This pairing of sentiments would work for a variety of occasions. This card was splashed both inside and out with diluted Delicate silvery shimmer ink. 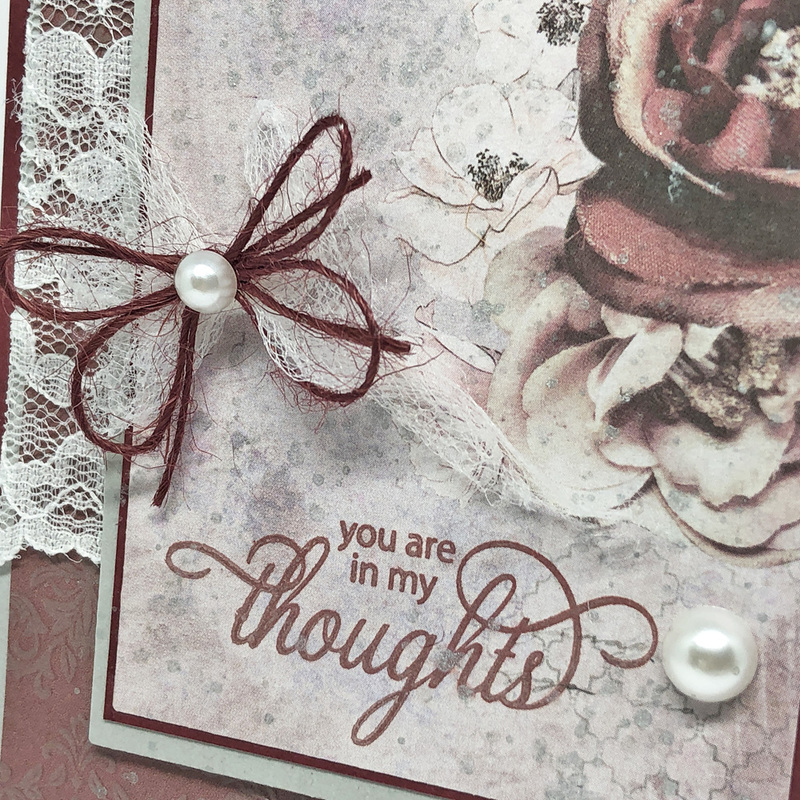 It just adds a bit of shine, sparkle and elegance to the paper, which has its own classic vintage feel. I love it!